Persons wishing to make a purchase or a reservation at AIR EVASION BIARRITZ PARACHUTISME, as a customer. The parties agree that their relations are exclusively governed by this contract, to the exclusion of any other. The services or reservations for sale can not be the object of any transfer of any transfer of any kind whatsoever. Any order duly carried out at AIR EVASION BIARRITZ PARACHUTISME implies full and unreserved acceptance of these general conditions of sale. If a condition were to fail, it would be considered to be governed by the usages in force in the distance selling sector for companies based in France. 1.2 These general conditions of sale applies to all sales of services by our company on its website unless specific agreement prior to the order agreed in writing between the parties. 1.3 Any other document tan the present general conditions of sale and in particular catalogs, prospectuses, advertising, notices, is only indicative, non-contractual. Photos and graphics presented on the website are only indicative and do not engage the responsability of the seller. 2.1 All texts, comments, illustrations and images reproduced on the websitewww.airevasionbiarritzparachutisme.com are reserved and are the exclusive property of AIR EVASION BIARRITZ PARACHUTISME or its suppliers and are protected under copyright and intellectual property for the whole world and for designs, models, patents, plans and in general all documents of any kind delivered or sent by AIR EVASION BIARRITZ PARACHUTISME to the customer, are the zxclusive property of AIR EVASION BIARRITZ PARACHUTISME or its suppliers. Consequently, the aforementioned elements or documents may only be used for strictly private purposes without the prior written authorization of AIR EVASION BIARRITZ PARACHUTISME. They may not be executed or reproduced without the express prior written permission of AIR EVASION BIARRITZ PARACHUTISME nor be the subject of any claim of any intellectual property rights of any kind whatsoever. Photo and video rights of the services realized during the jumps and services remain the property of the company AIR EVASION BIARRITZ PARACHUTISME. In this context, the customer is warned that his image is likely to appear on the photos and videos of the website operated by the company AIR EVASION BIARRITZ PARACHUTISME. 3.1 The services offered for sale by the compagny AIR EVASION BIARRITZ PARACHUTISME are those presented on the wesite www.airevasionbiarritzparachutisme.com and whose essential characteristics are described there. In accordance with Article L.111.1 of the Consumer Code, which stipulates that « every professional selling goods or services shall, before the conclusion of the contract, place the consumer in a position to know the essential characterististics of the good or service ». 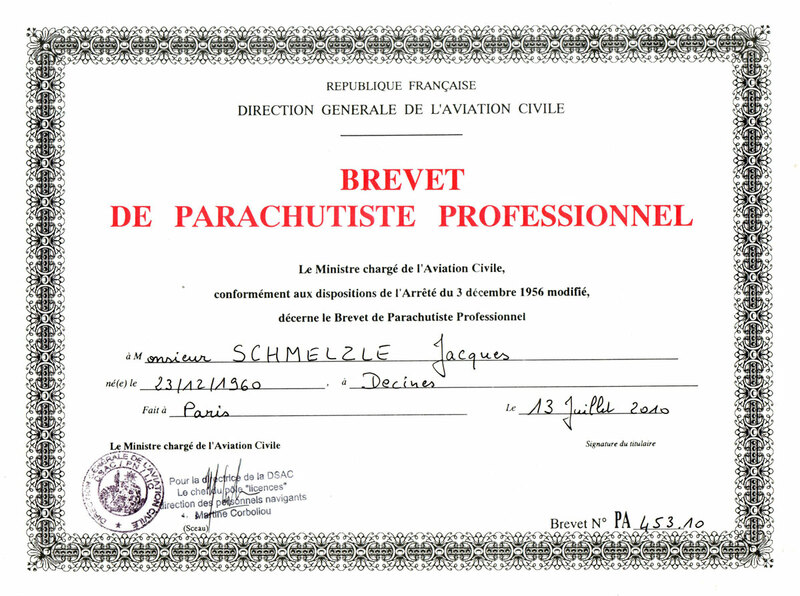 The company AIR EVASION BIARRITZ PARACHUTISME allows the customer, prior to any service of order, to solicit additional infformation that he might wish to obtain if he did not consider sufficiently informed by the description and the characteristics of the services sold on the aforementioned wesite. However, it is the responsibility of the customer to verify that the services ordered correspond to his needs and destination, the customer being solely responsible for the conformity of the services to the use for which it is intended. Any claim by the customer for the order of a service not feasible will be considered as unfounded. In this case, AIR EVASION BIARRITZ PARACHUTISME undertakes to notify by e-mail or telephone any customer who has placed an order for an impracticable service. 3.3 Gift tickets are non-refundable but can be transferred if necessary provided that the name of the beneficiary has been communicated to AIR EVASION BIARRITZ PARACHUTISME before making an appointment. They are valid for one year from the date of issue, ie 7 working months, and must be presented on the day of the jump. The gift ticket entitles the buyer to make a jump during the period of validity by accepting the constraints linked to them. For the surprise effect to be guaranteed, the gift ticket will be shipped to the addres of your choice. If the validity date is exceeded, an extension of 6 months is possible against the sum of 50 euros if it is subscribed within 3 months after the expiry date and to the readjustment of the tariff in force. 3.4 Any commercial refund granted by AIR EVASION BIARRITZ PARACHUTISME of the agreed sums will be subject to a 25% deduction for administrative fees. 4.1 Air Evasion Biarritz Parachutisme will issue to the customer an invoice of the total amount of the service paid to AIR EVASION BIARRITZ PARACHUTISME. The invoice is available by simple request made to the accounting department by mail. The prices listed on the website www.airevasionbiarritzparachutisme.com , are indicated in Euro all taxes included. Payment is made by check (bank or holiday) or by an online payment system, in both cases sending the booking form to the following address: AIR EVASION BIARRITZ PARACHUTISME n°10 Avenue Lénine 40220 TARNOS. 4.2 There is no technical means to collect bank card payments on the jump zone. 4.3 TAll orders for services worth acceptance of prices. 4.4 AIR EVASION BIARRITZ PARACHUTISME suggests to its clients who wish a video report of their jump, to notify it on the reservation form and to pay the settlement on site to the provider making the video. 4.5 Includes air transport liability insurance (Warsaw Convention) covering the passenger, pre-jump training, specialized equipment provided and agree to a tandem jump. The deposit or the total payment of the jump according to the option are cashablle before the jump is executed. AIR EVASION BIARRITZ PARACHUTISME can facilitate payment in two or three times cashablle before the jump. 4.6 Cancellation insurance: For any request for reimbursement and subject to acceptance of the request by Air Evasion Biarritz Parachutisme, a package of € 50 processing fee will be retained. After making a choice (reservation or gift ticket), the client must first print a reservation form, complete it and send it to the registered office indicated in Article 6. – by check payable to AIR EVASION BIARRITZ PARACHUTISME. 5.2 The booking is taken into account only after payment of the deposit. The client can postpone the jump within 48 hours before of the appointment. In the contrary case, the deposit or the total amount paid (in the case of a gift ticket) will be acquired by AIR EVASION BIARRITZ PARACHUTISME. If a candidate for a tandem jump withdraws less than 7 days before the date scheduled for the jump, the deposit will not be refunded.. If it is impossible to jump on the day of booking, the deposit is retained and the reservation can be postponed for one year from the date of issue. Beyond this period, the deposit remains acquired by AIR EVASION BIARRITZ PARACHUTISME. If definitive cancellation from us, the deposit will be refunded. 5.3 AIR EVASION BIARRITZ PARACHUTISME reserves the right to cancel a jump due to bad weather conditions, for insufficient safety reasons or for any other case of force majeure. This cancellation can take place just before take-off or during the flight. In this case, AIR EVASION BIARRITZ PARACHUTISME will not be liable for any travel or accommodation expenses incurred by customers to get to the place of take-off and the tickets will remain valid during their validity period; In case of absence of the client on the day of the jump and at the fixed time, the ticket or the reservation will be considered as consumed. AIR EVASION BIARRITZ PARACHUTISME declares to elect its registered office at the following address: n°10 Avenue Lénine 40220 TARNOS. For jumping you should nt wear shoes with hooks. The dress code should allow the client to be comfortable and absolutely cover the body.. If you wear contact lenses, glasses or dental equipment, you must inform us on the day of the jump. We can not ensure the jumps at fixed times, the schedule communicated being indicative. However, respect the schdule set by the organizer. Plan the half-day or the day to make the jump in good conditions..
We advise you to make your reservation as soon as possible in order to benefit from the best choice of dates and schedules. The customer must make an appointment by telephone, also, the day before the jump, the customer must contact 06 45 50 88 62 ou 07 84 21 33 23 in order to have confirmation of his schdule and the weather. The jump depends on the weather conditions, the aircraft and the equipment used, all of which are closely related to the safetyof the jump. Todo this, the tandem pilot in charge of your jump may at any time decide whether to post pone or cancel it. The tandem pilot reserves the right to reduce the skydiving height in the event of a meteorological or technical problem related to the means of transport. There is not minimum age for tandem skydiving with a professional parachutist, but criteria of size, weight (limitation to 90kg/198 pounds and having a BMI between 16 and 28 and motivation are taken into account by the tandem pilot. The tandem pilot reserves the right to accept or refuse a passenger as well as any person whom he considers unsuitable for the jump,. In this case, the deposit will be refunded..
Underage must provide parental consent and be accopanied by at least one parent or person with parental authority. 8.1 For a tandem skydiving with a professional parachutist, a medical certificate, even if not mandatory, is recommanded. Don not hesitate to contact your family doctor and ask for a medical certificate of « non contra-indication to the practice of tandem skydiving». You should be in good physical and mental health, not be infected with a disease contraindicated in achieving this type of jump, not suffer from recurrent luxation/dislocation of the shoulder, joint problems in the lower limbs, spinal cord problems, heart problems, ENT problems, loss of consciousness, epilepsy, not having dived in the last 48 hours, and for women not being pregnant. tandem skydiving, like any activity, can cause physical risks. Do not consume alcohol or illegal products within 6 hours before the jump. By express agreement between the parties, the Commercial Court of DAX shall be solely responsible for any findings or for any proceedings related to the execution or interjection of these general conditions of sale. Thes are subject to French law. AIR EVASION BIARRITZ PARACHUTISME undertakes not to communicate to third parties the information transmitted to it by the clientn xhich are confidential. The information will only be used by the internal services of AIR EVASION BIARRITZ PARACHUTISME for the processing of the customer’s order. In accordance with the French Data Protection Act of 6 January 1078, the customer has a right of access, rectification and opposition to personal data concerning him. To do this, it is sufficient to make the request online or by mail, specifying the name, first name, address and if possible, the customer reference.